It’s fair to say I did an astonishing amount of research before booking our Exuma accommodation. Having been twice before, I had found the area to be lacking in the luxury space, with only one or two nouveau chain hotels. Then I discovered Casa Del Mar, only a stones throw from the airport yet tucked away down a serene street that leads you straight onto a pristine white sand beach. 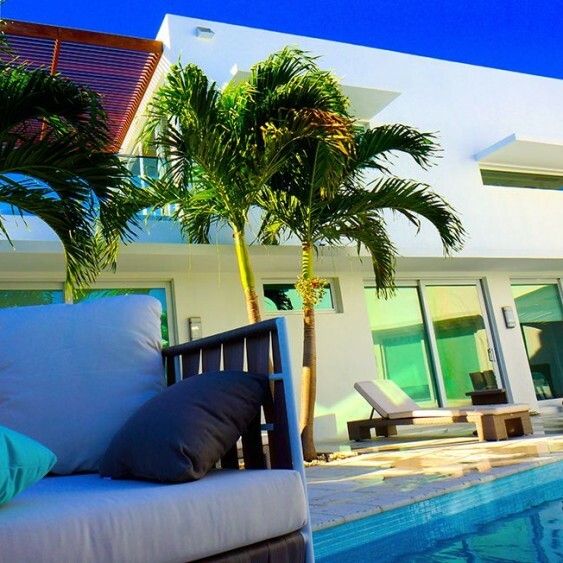 To put it rather bluntly, the pictures do not illustrate the elegance and superlative design of these villas. Despite having a party of 21 adults, there was a plethora of space. Between each villa there are 2 kitchens, 2 lounges and 2 communal areas (with optional fold down sofa), and at no stage did any of us feel like we did not have enough space. Each bedroom has a large and pristine private bathroom and the design incorporates floor to ceiling windows that lets the light flood in. But the devil is in the detail … from kitchen chandeliers that are made from oyster shells, modern yet practical fittings and a purist oceanic inspired decor — the whole place is a symphony of style. Not to mention the super king size beds that you could sink into forever. However, this all pales in comparison to the service guests receive at the villa. Before arriving, Vladimir was on hand to answer our multiple banal questions with record speed. On arrival, the most conscientious and wonderful individual named Esther went above and beyond her job description in order to ensure our stay was 5 star. It was heart warming , we all felt like we had a new friend by the end our stay. Even the most difficult tasks we requested of Esther were taken care of with professionalism and a cheery demeanour. Without writing an essay, we had great hardship with our wedding planner, and Esther took control of the situation to help in every way she could to make our day a success — what a woman. To add to this incredible scene, we didn’t see another soul on the beach during our entire stay. The word paradise is overused these days, but when you get to Casa Del Mar you will rediscover the true meaning of it. Thank you to all of the Casa Del Mar team for memories that will last a lifetime. The property is intelligently designed, well equipped, and well maintained. It’s just beautiful and was well equipped with everything we needed; full appliances, dishwasher, laundry machines, even the essential blender for smoothies 🙂 We had a large group, 8 adults and 5 little kids. The bedrooms are generous and fit our group comfortably. The dining and kitchen area was great for meals for our large group as well. Bonus, no one needed to share or fight over a bathroom, three bathrooms in each wing 🙂 There is a beautiful beach steps away, great views from the upper kitchen level. We felt very safe as well. Vladimir, Ms Butler and Nelly were quick to respond to our multitude of annoying questions. They were professional, detailed and took very good care of us. We arrived on Sunday, when stores were closed, but Ms Butler and Nelly had the fridge full with our requested items which was very helpful, especially in feeding a hungry group after a day of travel. This let us hit the beach and relax without wasting any time. The location is tucked away in a beautiful and private area, but is still in close driving proximity to the airport, groceries, downtown, marinas and other beautiful beaches to explore as well. We loved it, we can’t wait to come back and only hope it’s not sold out! Thank you for an amazing stay! Happy Travels Everyone! We had a great time at Casa Del Mar. The layout was great for 3 families with young kids! Designed very well. The place was beautiful from the house, pool area, balconies to the beach. Very private beach and very peaceful. We had a few issues with the coffee maker on one wing being broken and the BBQ tank being in pretty rough shape, but other than that everything was perfect! Esther recommended a chef and a boat tour. Both were amazing! Highly recommend! Thanks for the memories! Outstanding property!! Beautiful interior & well kept grounds and awesome ocean view from your living room & kitchen. One of the best beaches is only a few footsteps out your door. No resorts, umbrellas, etc to see, just a perfect beach for you to enjoy and walk (about 1.4miles one direction and 2.2miles the other and only beauty to see). Pool area is very well done & awesome!!! 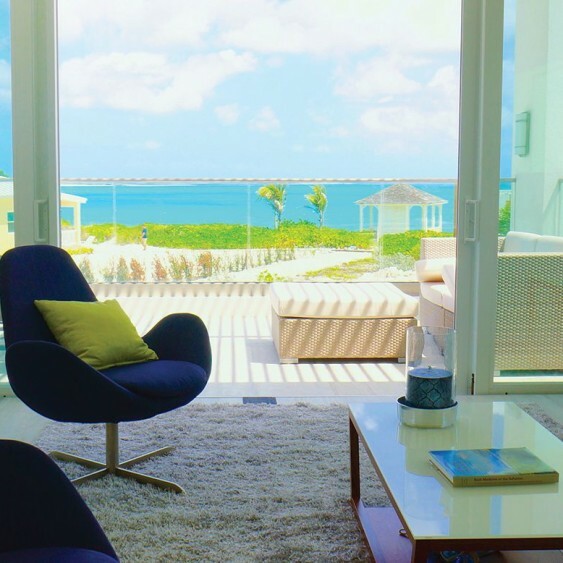 A spectacular place to spend your days and nights in Exuma. Staff are extremely accommodating and kind. Location was perfect to see and explore the island, grab dinner out, or to make a stop at the grocery market. На острова Экзумы довольно легко попасть, принимая во внимание удаленность. Главный аэропорт, George Town ( код аэропорта — GGT), удобно расположен в центре о. Большая Экзума, в Moss Town, небольшой, комфортабельный, всего в нескольких минутах езды до Casa Del Mar. Вы когда-нибудь выходили из дома всего за 1 час до вылета своего международного рейса? Не беспокойтесь, вы не пропустите свой рейс на Экзуме!